Writing "Memories into Memoirs for Posterity" Ruth Briney, facilitator. Are you interested in writing your memoirs or your ancestor’s stories? This group meets twice monthly to share their short stories. The topic for this session is "Finding the Origins of Your Colonial Ancestors 1629-1775". We will explore the four migration groups who came to colonial America before the Revolutionary War and use maps to find where they settled in America. Next, we will follow these groups back to their English counties of origin. We will follow the Puritans, the Virginia and Chesapeake Settlers, the Quakers of the Delaware Valley and the Scots-Irish, America's backwoods settlers. With about 1/3 of Americans claiming British ancestry, chances are that at some point you will need to extend your research "across the pond". These sessions are free and open to the public. What are runes and what does runic writing teach us about our Scandinavian ancestry? Norden Club will host a special evening program on Scandinavian Runic Stones presented by Loraine Jensen, founder of the American Association for Runic Studies. This presentation will provide an overview of the thousands of runestones existing today. The German Interest Group is scheduled to meet on Sunday May 5 BUT has decided to support the Nebraska Czechs of Lincoln 50th Annual Czech Festival instead of meeting. See below for more information. 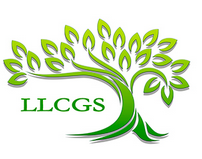 Please check the LLCGS Calendar for future meetings of the German Interest Group. Door Open at 9 a.m. The 2019 NGS Annual Conference will be in St. Charles, MO. It looks to be a grand event and hotel rooms reservations are going fast. The conference announcement brochure is attached. A full conference schedule will be available later this fall. Registration begins Dec 1. Mother's Day - No Meeting. Next Program is May 19 - Nebraska Interest Group. Please attend our monthly business meeting and the program that follows. Each month there is a program following the busness meeting. Bob McQuistan will present on his research progress, with an emphasis on German relatives. Before each monthly meeting, beginning at 6 pm, we hold a 45-minute Help Session. Please come with genealogy problems that you would like to have us take a look at. And come ready to offer other peoples’ research a fresh look. Bring your laptops or other genealogical devices so we can investigate resources that you may not have used. Prudence Sadler will facilitate this session. Dr. Patricia Crews – Willa Cather Professor of Textiles & Founding Director Emeritus of the International Quilt Study Center & Museum. 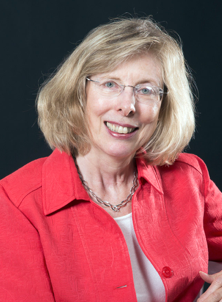 Dr. Crews will share insights and stories collected during the Nebraska Quilt Project and subsequent publication Nebraska Quilts and Quiltmakers. This book won the Smithsonian’s Frost Prize for Distinguished Scholarship in American Crafts in 1993. Do Nebraska quilts reflect different immigrant groups? Pat will answer this question for us. Participate with the Nebraska Interest Group led by Nancy Eckles and Judi Cook. This session is free and open to the public. All visitors are welcome. The Fifth Annual Family History Day, sponsored by the University of Nebraska-Lincoln Libraries. Family History Day will be held on the UNL City Campus and is free to the public. The LLCGS Board supports this event and has cancelled a June 9 Sunday session. We encourage you to consider this event instead. No Meeting We encourage you to consider attending Family History Day at UNL. See June 8 event on our calendar. Each month there is a program following the busness meeting. Al HArlow will be our speaker for this meeting. Topic for this week is "Finding Ancesters in England". We will focus on locating the records using helpful websites.With about 1/3 of Americans claiming British ancestry, chances are that at some point you will need to extend your research "across the pond". These sessions are free and open to the public. Please join us Sunday for a look at some ways to use your DNA results for both the beginner and more advanced user. The precise topic will be announced as we get closer to this date. Tom McFarland will lead this session. Please check this calendar 1 week before the event to confirm location. Bimonthly meeting of Family Tree Maker Software (Bob McQuistan). People of all proficiency levels are encouraged to attend and participate in learning how to use this software program. Sessions are typically held Rooms 1 at Walt Library. Please check this calendar 1 week before the event to confirm location. Each month there is a program following the busness meeting. The program is typically announced and listed here at least one month before the scheduled meeting. 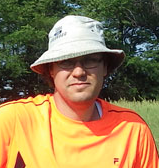 Nolan Johnson – History Nebraska Highway Archaeologist and 2018-19 President of Nebraska Archaeology. Nolan will discuss archaeology in Nebraska. Nebraska has more than 10,000 archaeological sites that can range from 10,000 B.C. to the 1800’s. Germanic Interest Group led by Dennis Schulte. Presentations and discussions would be of interest to those tracing their German heritage. Please join us for this session and bring a friend! Sessions are open to the public and visitors are always welcome. Rooms and details of each session will be confirmed as we get closer to the date. Bimonthly meeting of Family Tree Maker Software. This session will be led & facilitated by Bob Houser. People of all proficiency levels are encouraged to attend and participate in learning how to use this software program. Please check this calendar 1 week before the event to confirm location. Topic for this week is "Finding Ancestors in Ireland". We will focus on locating the records using helpful websites. With about 1/3 of Americans claiming British ancestry, chances are that at some point you will need to extend your research "across the pond". These sessions are free and open to the public. 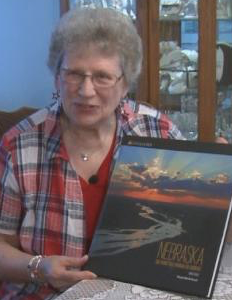 Joan McKay will join us to talk about her Nebraska jaunts. She was featured on Lance’s Journal in June 2018 and has made exploring small town Nebraska into a great adventure for herself and has the documentation to prove it! Topic for this week is "Finding Ancestors in Scotland and Wales". We will focus on locating the records using helpful websites. 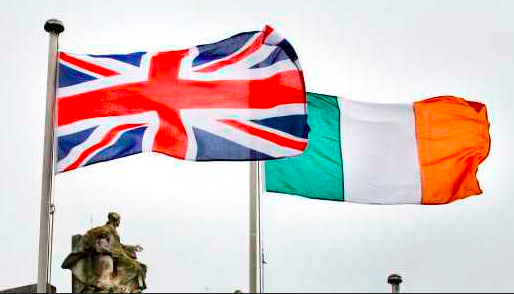 With about 1/3 of Americans claiming British ancestry, chances are that at some point you will need to extend your research "across the pond". These sessions are free and open to the public. Those working on their Nebraska heritage will be interested in the topics presented at these sessions. Each month a specific topic will be announced by the beginning of the month. Topic for this week is "Our Ancestor Stories". This Special Interst Group will be of interest to anyone doing research on relatives from England, Ireland, Scotland, or Wales. These sessions are free and open to the public.